The joy of travelling becomes great when you know your flight is all booked, luggage is packed and the aircraft is going to land at its designated time at the runway after completing its prior journey. Even if you are travelling with the best airline in the world, the chances of leading to a situation of flight cancellation are always going to be there. Imagine standing at the queue of the airport and suddenly the authority shouts at you saying “Sorry the flight has been cancelled due to unseen weather conditions or maybe faulty aviation system”. In such situation, what else you are supposed to do except thinking of your wasted money and how to retrieve that cancelled flight compensation with ease. Such a situation can leave anybody stranded and confused for a while. You may feel cheated and heartbroken when you were supposed to go on a vacay in that flight. Worry not! 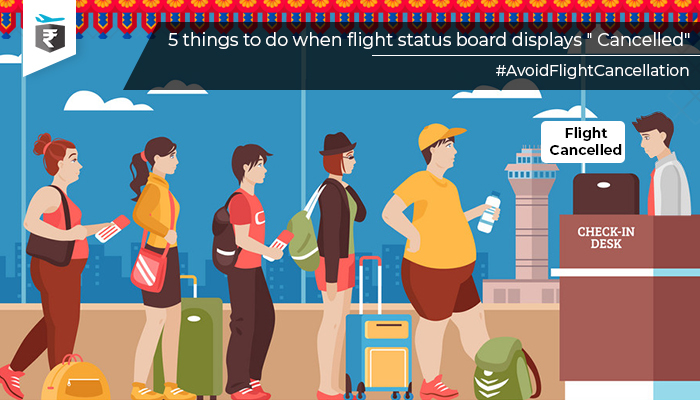 Here we have jotted down 5 immediate things that you need to do when your airport announces this disheartening news of flight cancellation. 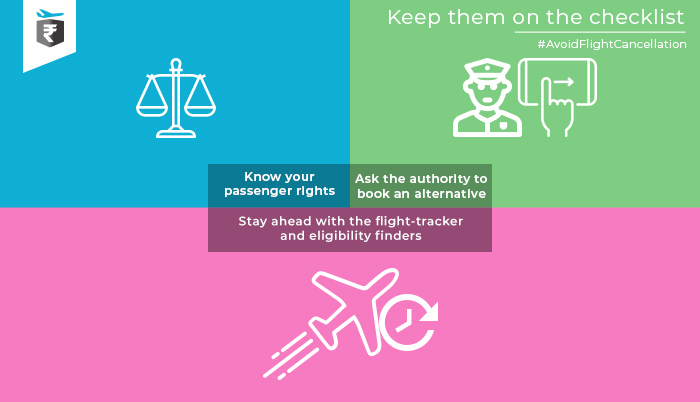 If you are a frequent traveller, you must be aware of the passenger rights that a flyer is bound to get against each cancelled flight from the authority. As a flyer, you are obliged to get flight cancellation compensation based on certain eligibility and the conditions decided by the Indian regulation. You can check the eligibility and amount for flight cancellation compensation India at refundme.in. If it is too urgent and late at night, do not move out from the queue and ask the airlines strictly to arrange another non-stop or connecting flight towards your preferred destination. Make them understand your urgency and ask them to arrange a substitute flight. Various modern-day apps like flight board and gate guru are there to track the status of the upcoming flights. You will get to know about your next flight arrival time, departure time along with the airport layout and even the best deals for the car rentals. 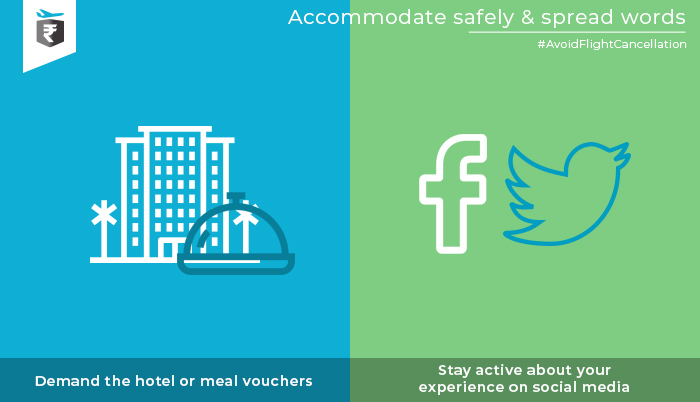 With refundme.in app, you can easily get to know the eligibility to claim compensation for cancelled flight. All you have to do is just enter the flight itinerary shared by the airlines into them and get benefitted with the beforehand information of the next flight pattern. If they have decided to provide you with another flight the next day or after few hours against cancelled flight, request them to provide you with the best and nearby hotel accommodation and meals. If they have announced the cancellation right at the time of your boarding, it is right to ask them to accommodate you somewhere safe until the next flight. Social media being the most powerful public weapon has various advantages to offer. If ever encountered with the cancellation scenario, update the same situation/story into the varied travel groups or airline’s pages. This will bring two good things – first, others will know beforehand what to expect and what not to while travelling and second the airline authorities will work more tangentially towards the sudden situation. Do not worry if your travel goals don’t correlate with the airline’s sudden news. Whenever encountered with the cancelled flights, stay prepared and claim for cancelled flight with the help of refundme.in and get compensated in no time via your bank account.